Rather than list all the tracks, lets just say it has all the songs from the 8 albums: "Hawaiian Sunset", "Taboo 2", "Bwana A", "Yellow Bird", "Taboo", "Pele', "Leis of Jazz", "Bahia"
a 4 CD collection containing 8 of Lyman's classic records. It is an import but is fairly readily available. 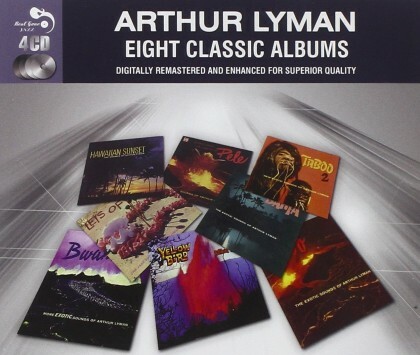 At a retail price of $13.99 (Amazon) it is a steal for that many classic albums by Lyman.